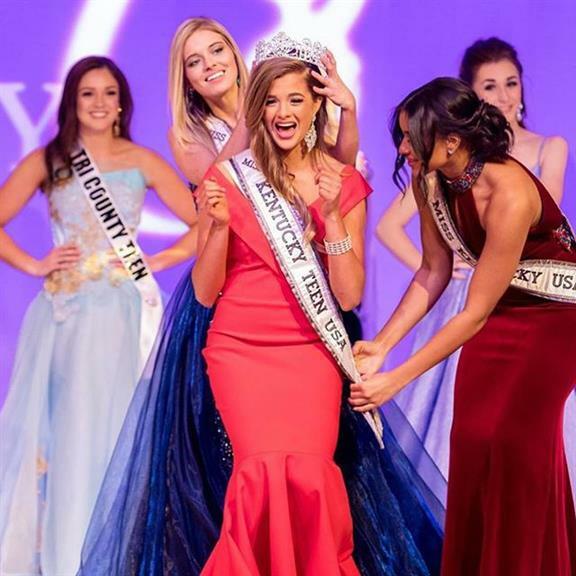 At the grand finale held on 26th January 2019 at the Holy Trinity Campus Clifton Center, Emma Johns was crowned the official representative of Kentucky to Miss Teen USA 2019. She succeeds and was crowned by Miss Kentucky USA 2018 Jordan Crozier. Emma Johns is 17 years of age and hails from Pikeville. The gorgeous beauty queen debuted in pageantry through Miss Kentucky USA pageant and conquered it. She is currently a Pikeville High School Junior who puts her faith and belief over everything else. Keeping a positive mindset, Emma proved her worth in the competition and emerged as the winner. Kentucky is yet to win its first ever Miss Teen USA title. In 1989, Kristi Dawn Hicks came close to winning as she was adjudged the first runner-up while Krista Keith and Kristen Johnson came close with winning second runners-up positions in 1983 and 2000 respectively. If Emma wins the title this year, not only will she become the first winner from Kentucky but also mark her second consecutive debut win in pageantry. Through her pageantry, Emma wants to encourage all women to take care of their bodies and mind. Self-confidence is her motto and she wishes to encourage women of all ages to practice self-confidence and be comfortable in their own skin. She is also an avid adventurer as she loves to hike in the mountains or sweat it out in the soccer field. With her reigning title of Miss Kentucky USA 2019, Emma will for sure work towards her goal and spreading her advocacy to all the women.